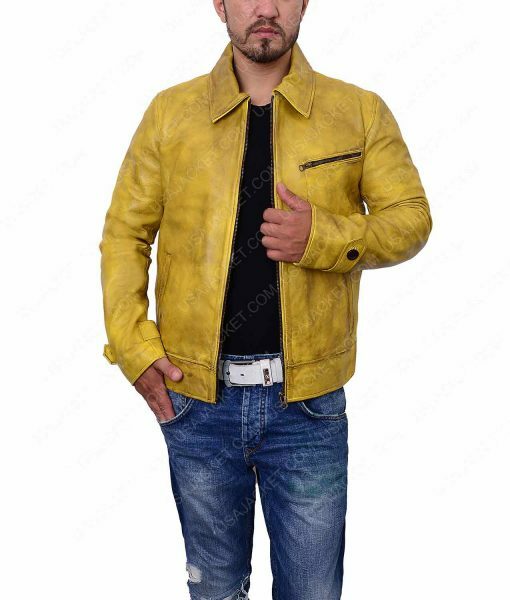 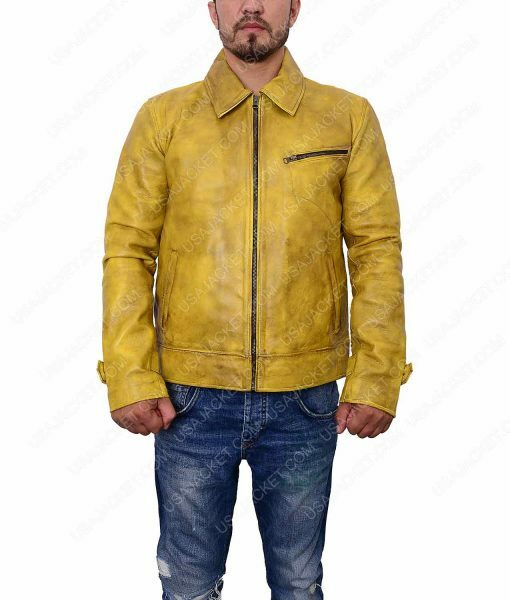 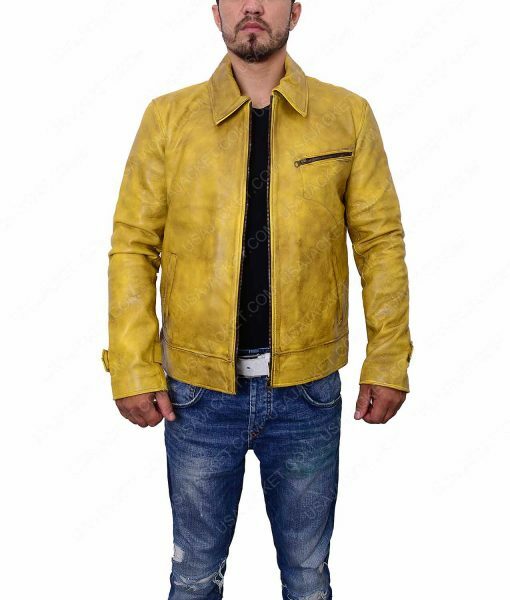 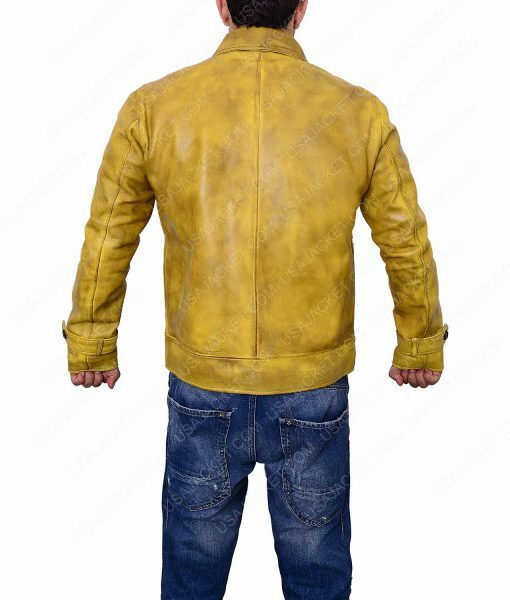 If you are in the hunt of the leather jacket having stylish color then bring this new Knight And Day Roy Miller Leather Jacket, now available in the exciting color with the stylish designing. 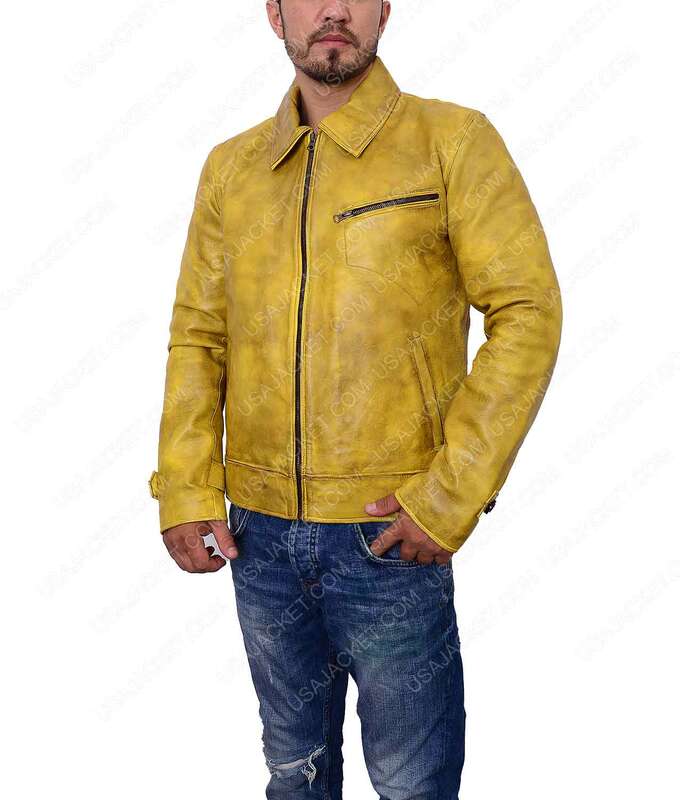 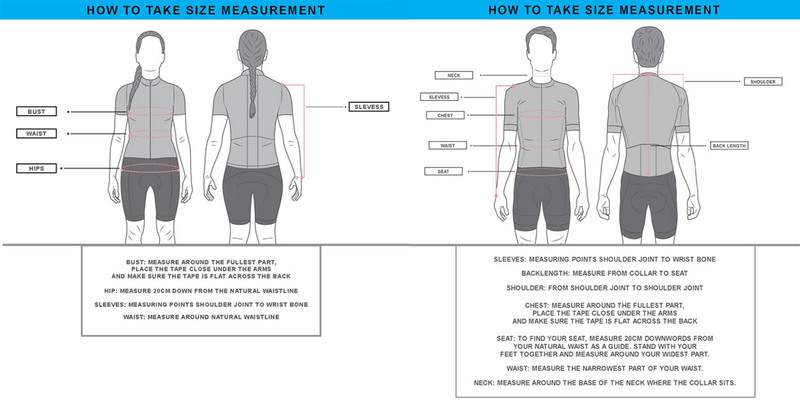 The apparel is inspired by the actor Tom Cruise in the movie Knight and Day while doing the role of Roy Miller. 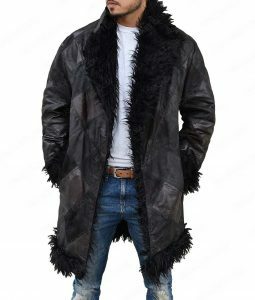 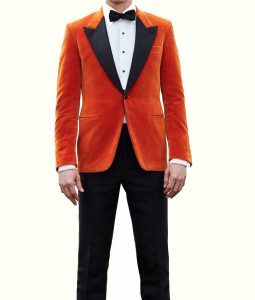 For making we have used cowhide leather which makes the jacket long lasting and enduring for inner artisans have used viscose lining. To give this product extra charm we have added shirt style collar along with chest and waist pockets, now available in full sleeves with yellow color.